Aditya Birla Group Of Co. Ltd.
Reliance Group Of Co. Ltd.
Anil Dhirubhai Ambani Group Ltd.
Larsen & Toubro (L&;;T) Ltd.
Essar Group Of Companies Ltd.
Technova Imaging System PVT. Ltd.
Panama Petrochem India PVT. Ltd.
Hiranandani Group Of Co. PVT. LTD.
Ajmera Group of Co. Ltd. 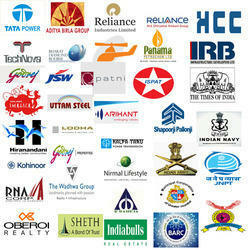 The WadhWa Group of Co. Ltd.